It's been a couple of weeks now since the ASPECT Conference and I'm still feeling inspired and excited about the future of our sector. I've chosen a few highlights that I want to share. 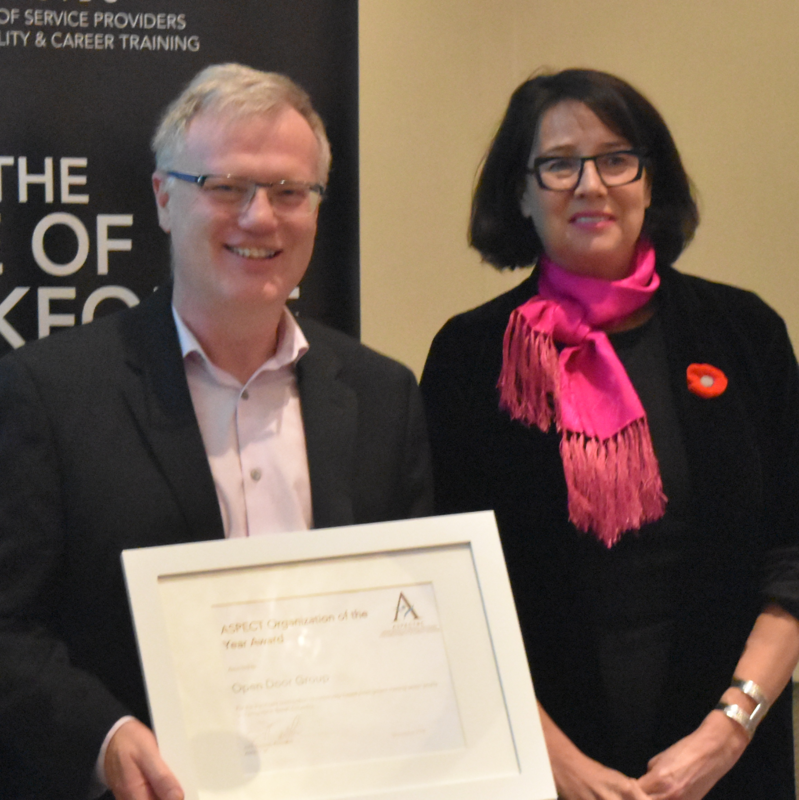 Group for being awarded the ASPECT Organization of the Year award celebrates the contribution of one organization which has made a significant contribution to community-based trainers profile and progress in British Columbia. Tom Burnell accepted on behalf of his organization. 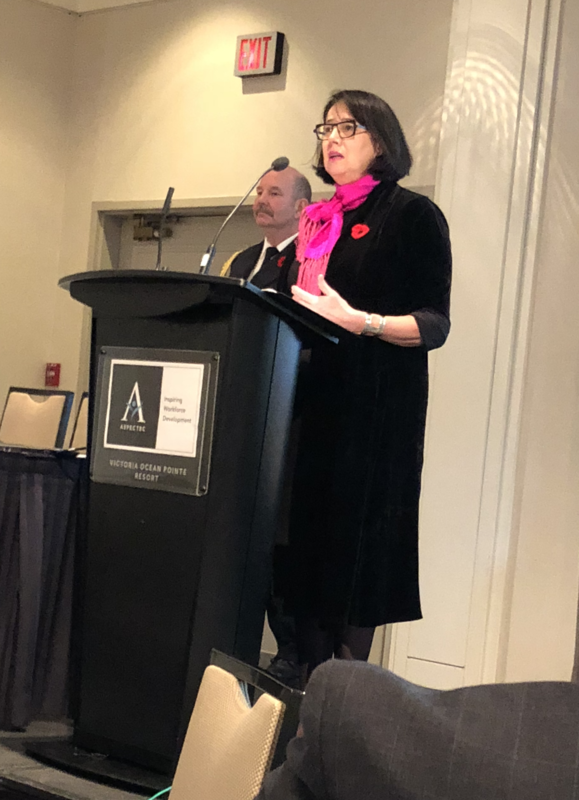 As you likely know, Janet Austin is the former CEO of the YMCA Vancouver and was tapped on the shoulder by the Prime Minister to become BC's Lieutenant Governor. In addition to presenting the awards, she talked about stepping into her new leadership role, adjusting to her new residence, meeting the Queen, and how she is using her position to promote her own social service agenda. During her speech I found myself thinking, "I want to be her." I was inspired! 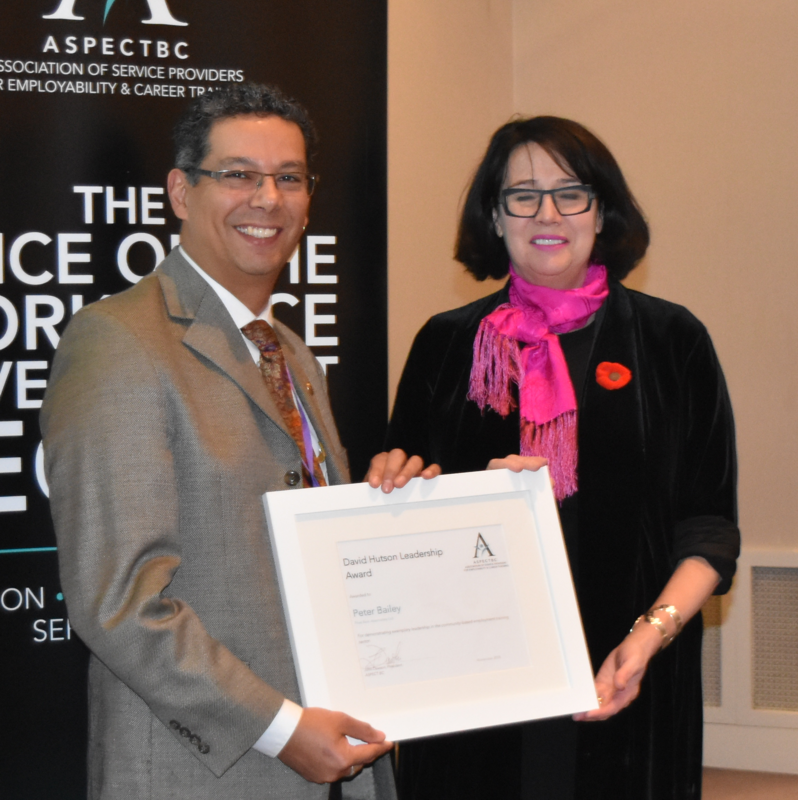 Thank you to all the presenters, exhibitors, and sponsors for helping us present the ASPECT Conference this year. Mark your calendars for next year: November 4 & 5, 2019 at the Sheraton Vancouver Airport.